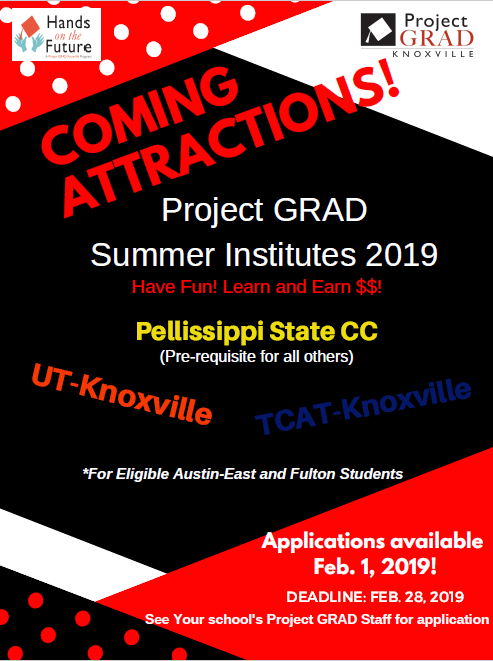 Project GRAD Knoxville is currently promoting Summer Institute 2019 enrichment opportunities for qualified Austin-East and Fulton High School students. One of the requirements for the Project GRAD Knoxville scholarship is to attend two of these institutes (or an approved substitute). Qualified students should contact the Project GRAD team at their high school for more information. Enjoy this video which features Summer Institute feedback from students, faculty and leadership.